Image taken from an article in “The Nation” on September 18, 2017. 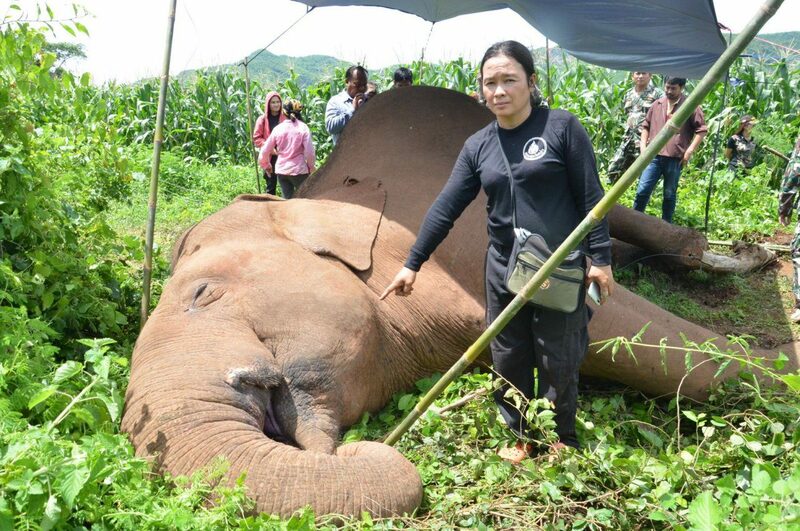 A four-tonne elephant was fatally electrocuted at a corn field near the Salakpra Wildlife Sanctuary in Kanchanaburi’s Muang district on Monday morning when it separated from its herd to hunt for food. Kanchanaburi is the destination of the first Action Week for Year 9, September 26-29, with a focus on community development, ecological literacy, and conflict resolution. 1. Explore some of the digital resources below to help you learn about the places we will visit and experiences planned for us. “Meet Thailand’s Elephant Whisperer” is a feature article about Lek, the Thai woman who founded the Elephant Nature Park (which Elephant Haven is part of). Read this Wikipedia entry on “The Elephant Nature Park” — is there any information here you would like to double-check or follow up on? Watch this wordless video about students experiencing OurLand — can you make a quiz about a wordless video? 2. Try some sample quizzes on this Padlet — https://padlet.com/secondarylibrary/AWY9quizzes — based on some of the resources above. 3. Make your own quiz using Google Forms by clicking this link: http://bit.ly/KY9quiztemplate. You must use one of the resources listed above as the basis of your quiz. 4. Add your quiz to the same Padlet above when you’re done — so your friends can take your quiz. Go take some of theirs!